This is a pair of vintage runway size couture 1970s Les Bernard long shoulder duster carved bakelite leaf earrings in mottled green. They originally were sold to jewelers in groups in clear bags with gold Les Bernard Inc logos on the bags. The bakelite has been simichrome tested and is guaranteed to be true bakelite. 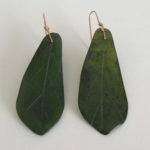 Size of each earring is 3 1/4” from top of hook to bottom of leaf. 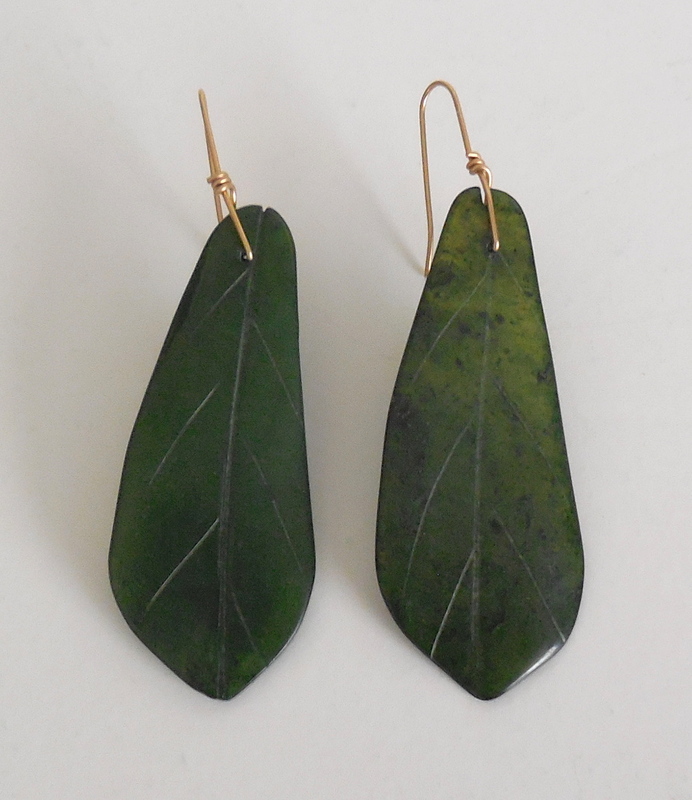 Each earrings has its own characteristics as they are cut, carved, and crafted by hand. 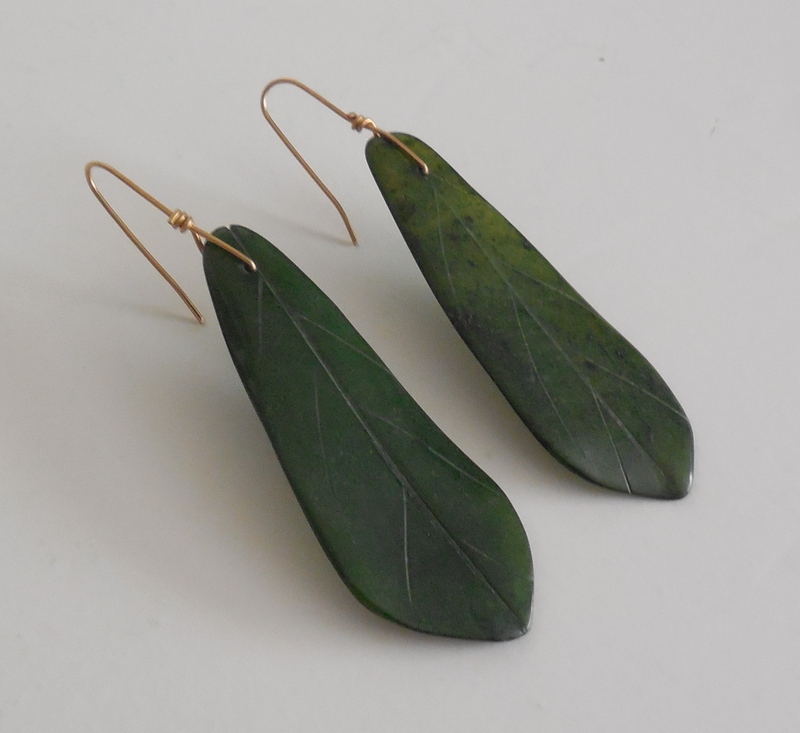 So you will see slight size, color, and cut variations in each earring. 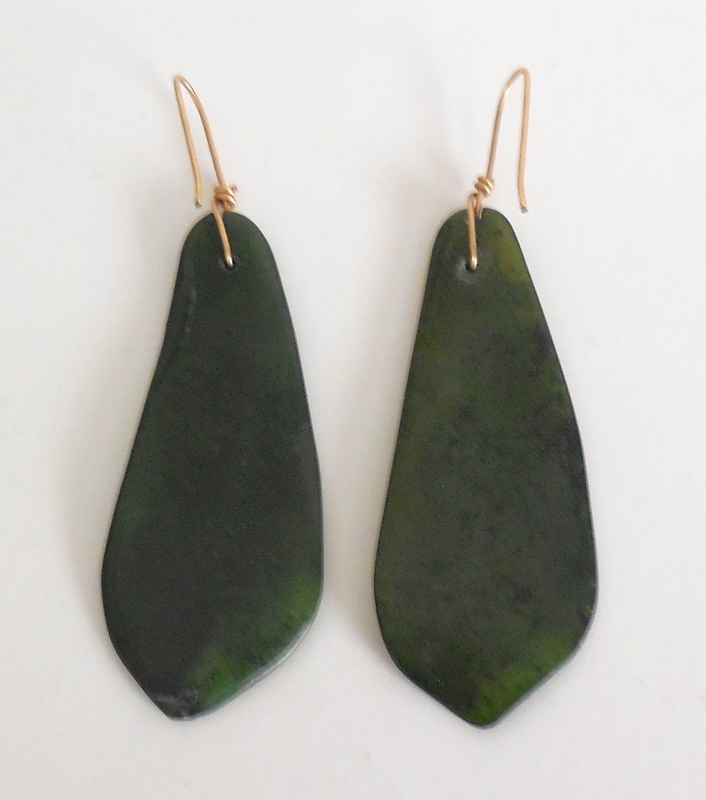 When dangling on the ear or held to light they have strong semi translucence and very deep crisp dark mottling similar to marbled bakelite. Overall condition is excellent. 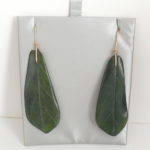 This is a lovely pair of very big, showy, Les Bernard earrings for your vintage bakelite or designer jewelry collection. 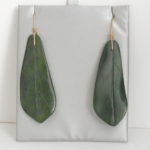 This is a pair of vintage runway size couture Les Bernard long shoulder duster carved bakelite leaf earrings in mottled green. 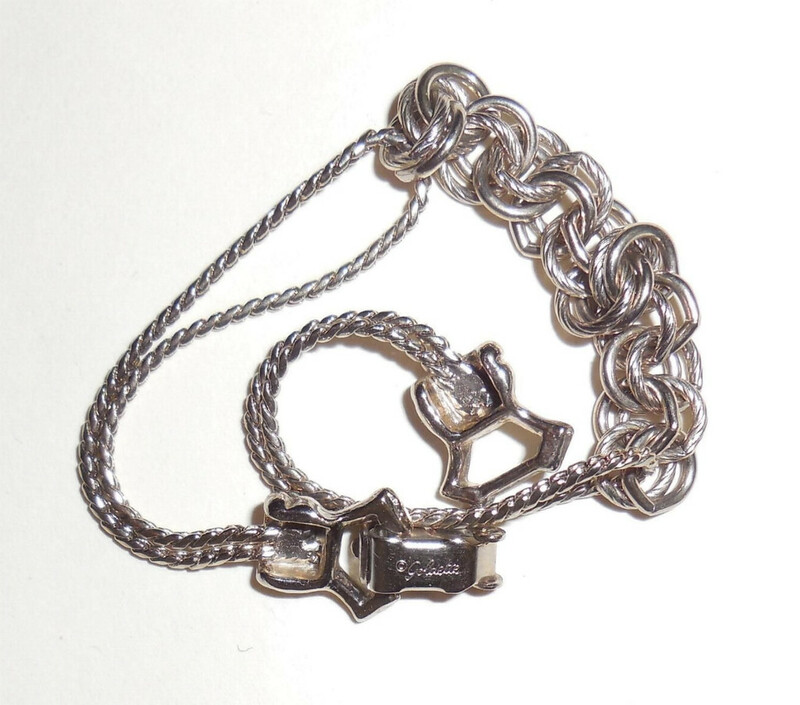 They originally were sold to jewelers in groups in clear bags with gold Les Bernard Inc logos on the bags. The bakelite has been simichrome tested and is guaranteed to be true bakelite. 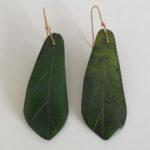 Size of each earring is 3 1/4” from top of hook to bottom of leaf. 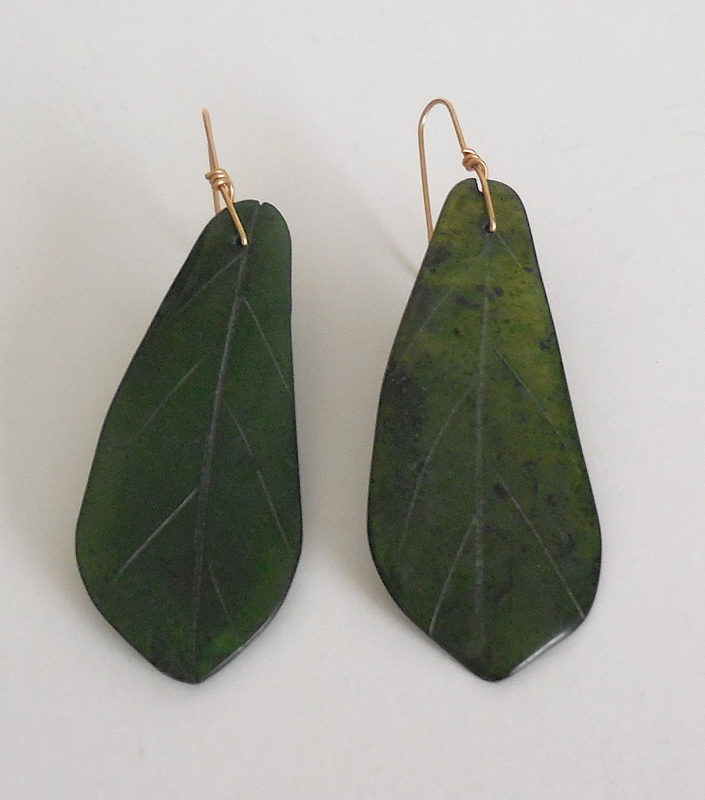 Each earrings has its own characteristics as they are cut, carved, and crafted by hand. So you will see slight size, color, and cut variations in each earring. 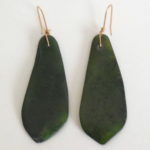 When dangling on the ear or held to light they have strong semi translucence and very deep crisp dark mottling similar to marbled bakelite. Overall condition is excellent. 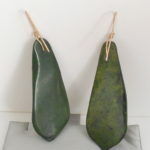 This is a lovely pair of very big, showy, Les Bernard earrings for your vintage bakelite or designer jewelry collection. 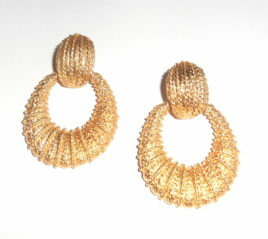 Never Used Large Vintage Industrialist Pierced Hoop Earrings Modernist - YELLOW GOLD Plated. 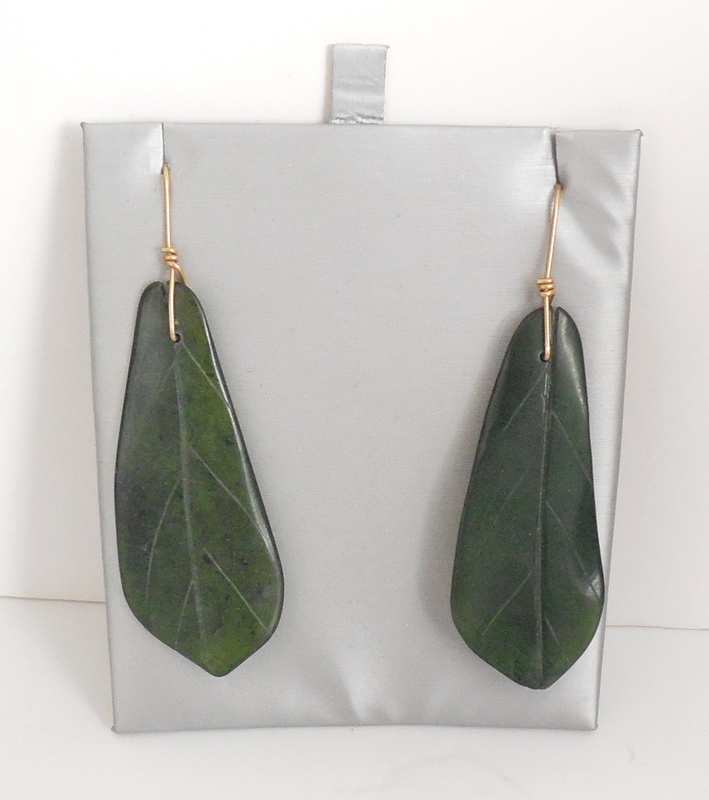 This is a gorgeous pair of never used, mint condition, unsigned Goldette, vintage 1970s to 1980s, pierced post, dangling hoop earrings with mid century modernist industrialist design. 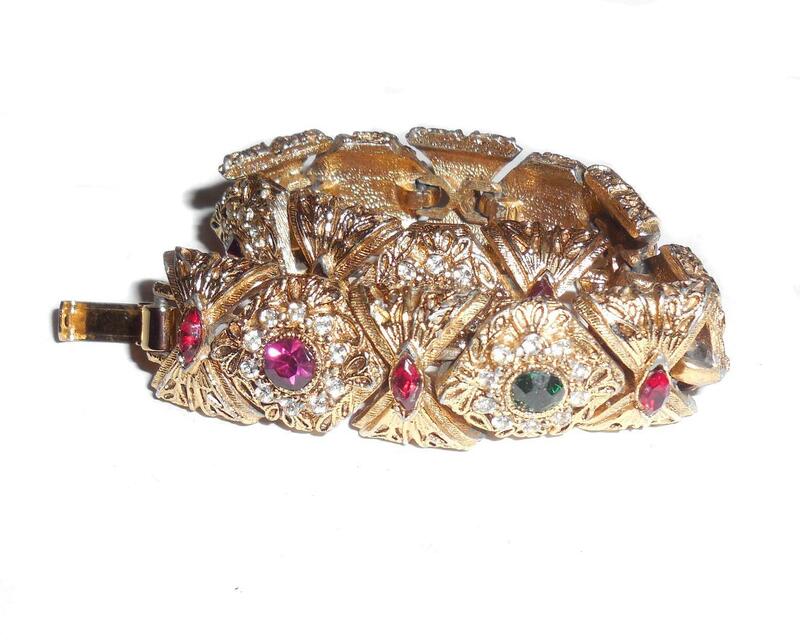 As many Goldette collectors know the gold plating on Goldette jewelry was so heavily applied that oftentimes the marking is either very faint or not found because it lies underneath the gold. 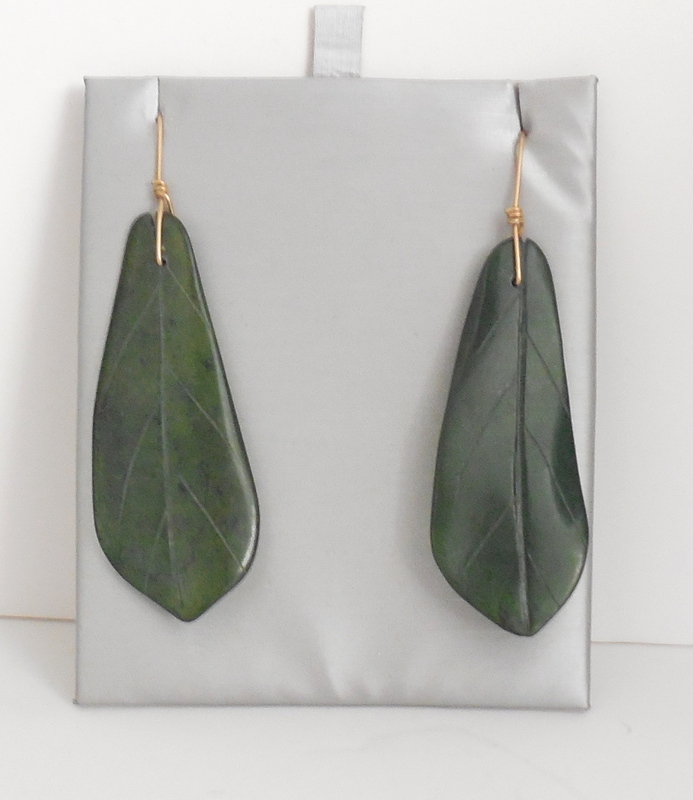 These earrings were part of an estate of an old jeweler who manufactured and distributed jewelry for Goldette, Florenza, Hollycraft and many other costume houses during the 1970s to 1990s. They were never used and are in wonderful, original, mint condition. They are also very heavy and showy! 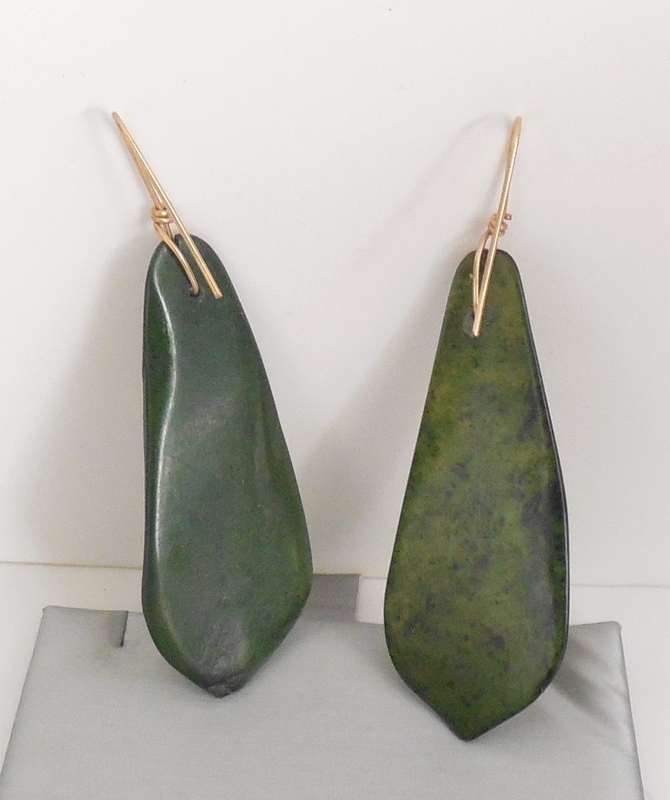 Size of each earrings is 2" tall north to south by 1.31" wide across the centers east to west. Weight is 22 grams for both. 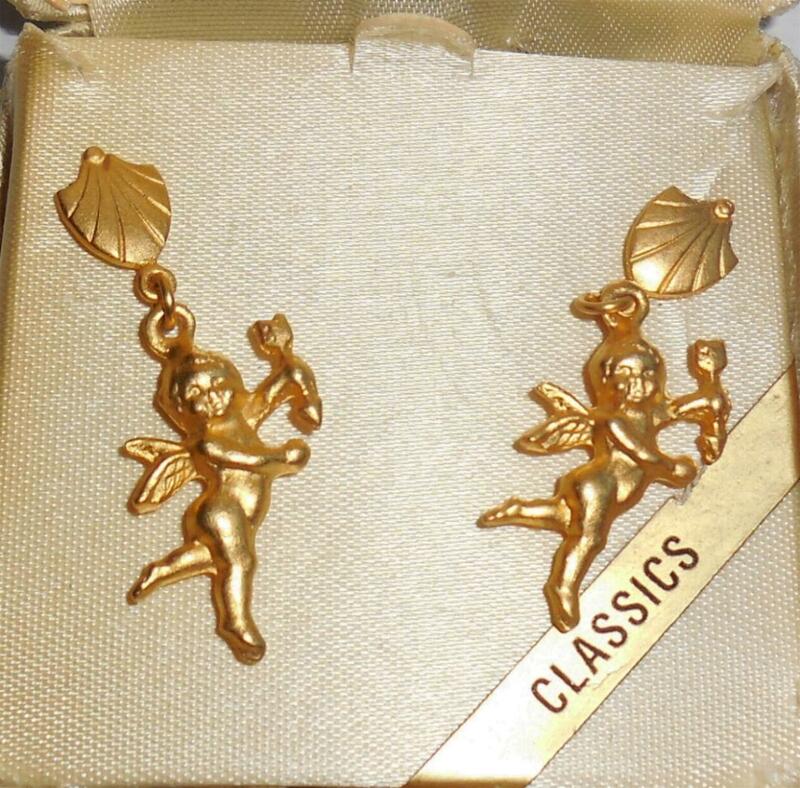 This is a gorgeous, showy pair of earrings for your vintage jewelry collection. Hard to find these in this condition and weight.